Kyron, along with Black Note Music, have produced and distributed some excellent ambient experimental music over the years. Union is the next chapter in their collaboration. 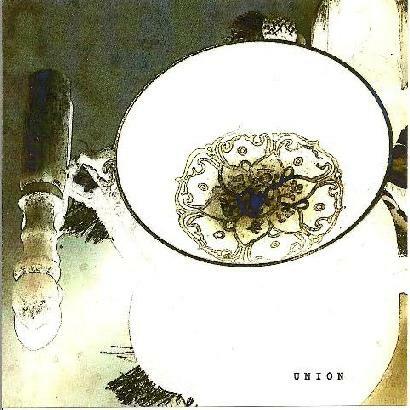 Fixed firm in the ambient world of soundscape none music, Kyron has been experimenting endlessly it seems, and here on Union we get more of that same experimentation that has made his music a growing part of the experimental genre. Here we find a 28-track collage lasting just over an hour, packed full of repetitive, hypnotic tinkering, and almost silent soundscapes, offering a journey very much in the same field as Jorge Reyes. The sound is mostly in the minimal ambient vein, slow to progress and growing from start to finish, ebbing and flowing through the 28 short tracks, making the album a total headphone affair, and a meditation of sound. It is a music that is not to everyone's taste, but those among us who do venture into the minimal experimental world will find some fruits here on Union, and will be gradually hypnotized by the almost none sound that is produced here in places. The electronic meditators will have a nice little journey with this CD, and I hope that they take time to look it up, as well as other Kyron's CD's.